Bookmaker is one of the oldest betting websites. Currently, they moved from Bookmaker.com to Bookmaker.eu. Back in 1970, a person named Ron Sacco became the head of one of the biggest bookmarking businesses in the United States. Fast forward fifteen years. In 1985, the company started operating in the Dominican Republic and 2000, in Costa Rica. There are some disputes about their legality in the US, but with offices in more than fifteen other countries, the world doesn’t think so. In the last eight years, there have been two changes of Bookmaker’s domain. Until 2007, the company operated at Betcris dot com. This was when CRIS decided they want to part ways with the big brand. Bookmaker moved away and bought Bookmaker dot com. CRIS focused their services to Spanish-speaking countries and Bookmaker focused on the English-speaking part of the world. In 2011, the US authorities shut down the dot com website, due to suspicions of illegal activity. The web site moves to Bookmaker dot EU, where it keeps operating since then. The interesting thing here is, that there was never any downtime and players received continuous support and very fast deposits and withdrawals. The company is proud of this fact – 25 years of excellent service towards their clients. The website keeps a steady spot around the top 90000 most visited sites in the world, with their customers mostly from the United States, Canada, and Costa Rica. The website is very intuitive and fast. It is a pleasure browsing the various sports events and playing the numerous casino games. In terms of sports, this online bookie offers about twenty of them. Football, American football, bandy baseball, athletics, boxing, basketball, cycling, cricket, golf, handball, martial arts, motor racing, snooker, rugby, tennis, winter sports and more. Aside from the sportsbook, players can enjoy a variety of casino games like blackjack, slots, video poker and many more. Bookmaker.eu is one of the few websites which offer both sports betting and poker tables. 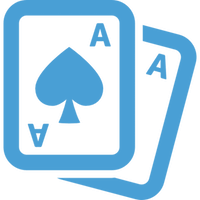 The poker experience is great and new players are welcome to try it for themselves. Fans of live betting will not be disappointed, either. The bookie covers a plethora of events while they are being played. You will also be delighted to learn there is an iPhone betting app, too! You can bet from your mobile device and will not be anchored to your computer for the duration of the matches. Bookmaker.eu is not giving away any news on an Android release shortly. The odds on Bookmaker.eu are very competitive. The overall betting margin of the website is 3.6%, having football leading with 4% and others sports with about 3.6%. Various types of bets are available, mainly the usual ones – exact score, score in 1st/2nd half, team goals, handicaps and more. The minimum allowed bet is $1, making the website perfect for casual betters. However, Bookmaker.eu limits the maximum bet to $5000. This may seem unacceptable for high rollers, but believe me, it’s not. The maximum winnings are set to $150000 per single bet, making potential payouts larger than most bookies out there. The website exists in only one language – English. The friendly customer support crew, however, are available throughout the whole year, twenty-four hours in the day. They speak English, Spanish, and Chinese. Toll-free phone lines have been set; the e-mail address is freely available, and there is a live chat feature for those who cannot talk. The quality of the customer service is great – players can expect their questions answered promptly. 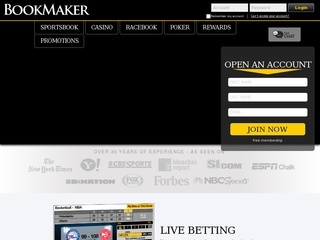 Bookmaker.eu sports a great SSL encrypted connection. Your money, as well as your identity, will be safe on their website. This online bookmaker allows its clients to deposit money in a lot of ways. The preferred way to deposit, in case your card does not work, is the person to person transfer. Players can receive the details of whom, or where to give the money to and if you deposit $300 or more at once, they will cover the fees. Bookmaker.eu does not shy away from real deals. 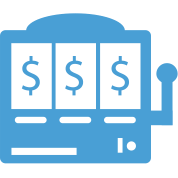 The initial deposit bonus covers 25% of the deposited sum – limited to a maximum of $500 and $300 minimum. Each time you wish to reload, you receive a 10% bonus for your money. The reload bonus also has a limit of $300 and is given if you deposit $300 or more. 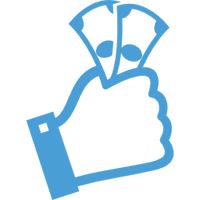 The bookie also offers a 10% referral bonus. Players can receive 10% of the initial deposit of their referred friends. There are other periodical bonuses and offers, which you may receive through the telephone. You can always opt out of being called if it bothers you! The special bonus on the website is getting back 8% of the cash on all of the horse racing bets you make. The loyalty program is a normal one. Players can accumulate points through various activities (mainly sports bets) and they can use the points for free bets and free casino games. This program is the way, Bookmaker.Eu encourages regular use of their online betting platform.